Today is Sunday. Sunday is a fun day. So, are you having fun today? 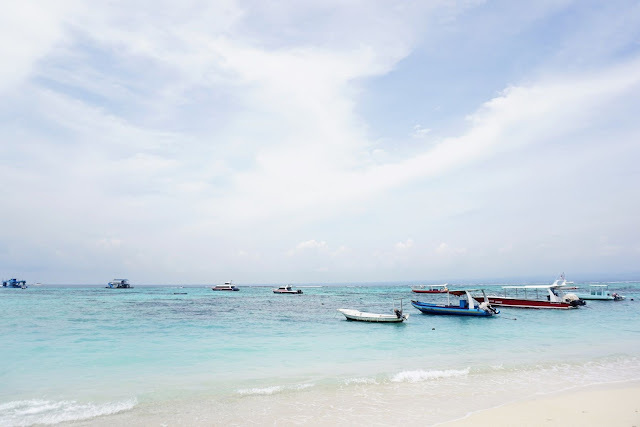 Continue sharing my experiences and journey to Nusa Lembongan Island which I already shared the part 1 of the destinations in my previous post, so what's next? I could say there are only a few tourist attractions and the other beautiful places that already been discovered and has a 'good' access. I believe there is still a lot of them but it just hasn't been discovered yet. That's why We just had a short trip at here. 5 hours for 5 places. After were enjoying the landscape, chilling, taking some pictures, and relaxing, we moved to the other destination, Devil's Tears. Wohooo! Devil's Tears was the first place that has attracted me at the first time when I searched about Nusa Lembongan Island. I don't know why. Maybe I was attracted by its name and from the name, it brings me to some amazing photos by the tourist. While I saw the photos, my jaw was dropping! And... I just said, "I must go here, no matter what!" Here we go... Devil's Tears! 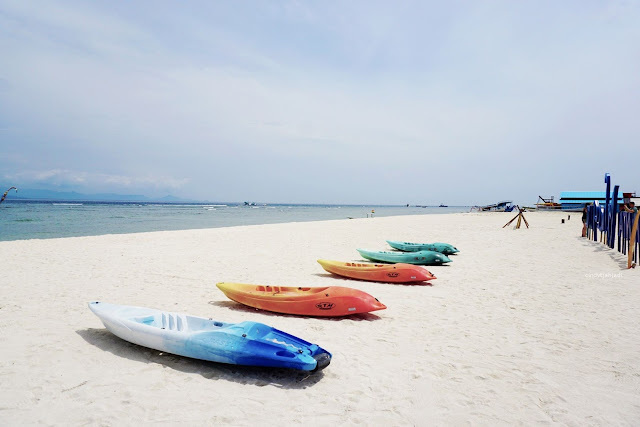 Located nearby The Dream Beach, it only took us about 10 minutes by walking to there. The road was covered by the laterite, so you should be careful if it's raining! Why the name is Devil's Tears? Bli said it because of the shape of the cliff looked like a skeleton. Indonesian people related the skeleton is same as the devil. And... When the big wave hit the rocks hard and hit the skeleton, it looked like the skeleton has shed the tears from its both eyes. That's why it called The Devil's Tears. What made me fall in love with this place was the process of the big wave movements. From far away, the big wave has rolled up, came, hit the rocks, and broke into some part. The first breaks hit the skeleton and made shed tears, the second breaks hit the front rocks and the big splash of it made the rainbow showed up. So, if I related to proverb it same as like, "There's a rainbow after the tears. You won't keep sobbing because there will be the other happiness will come to you." That process what made me kept shouting "Woooo" and felt amazed how great is our God. 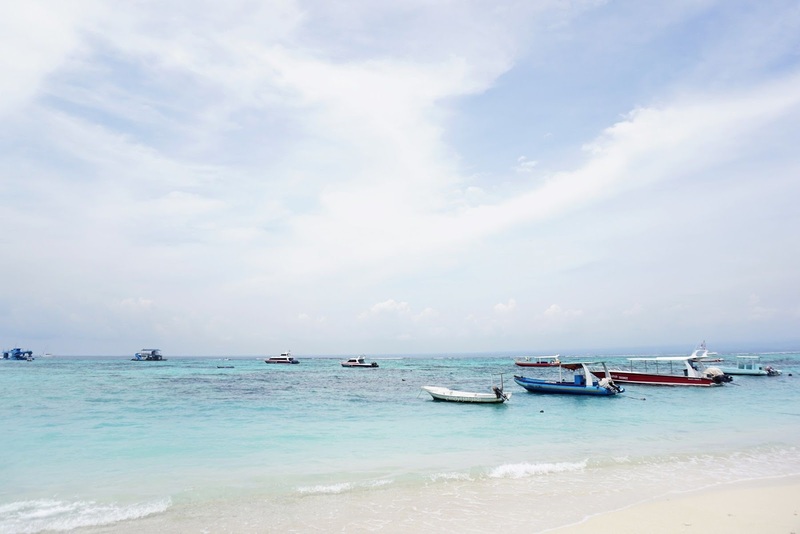 Of course, this is my favorite place in Nusa Lembongan Island! Isn't The Devil's Tears cool? Yeah, it's damn cool! After was enjoying the big wave, shall we enjoy the calm wave? 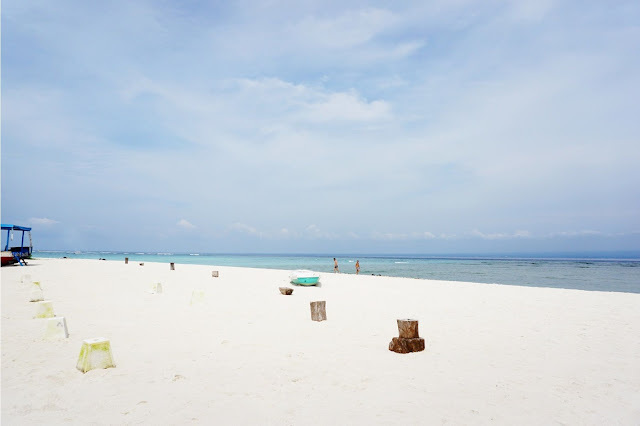 Move to the next destination, Mahagiri Beach. It took us about 15 minutes by the pickup car to go there. While we were on the way to there, we had a chit-chat with Fera and her husband. The married couple said they loved traveling. Visit the other beautiful places in the world is their dream and bucket list (OMG! It's same as me. Lol.) After had a fun long conversation, the couple has recommended us to visit Labuan Bajo. They said Labuan Bajo is fantastic and amazing. There were so many experiences that we would get if we traveled there, they said. Should I? For the next post? 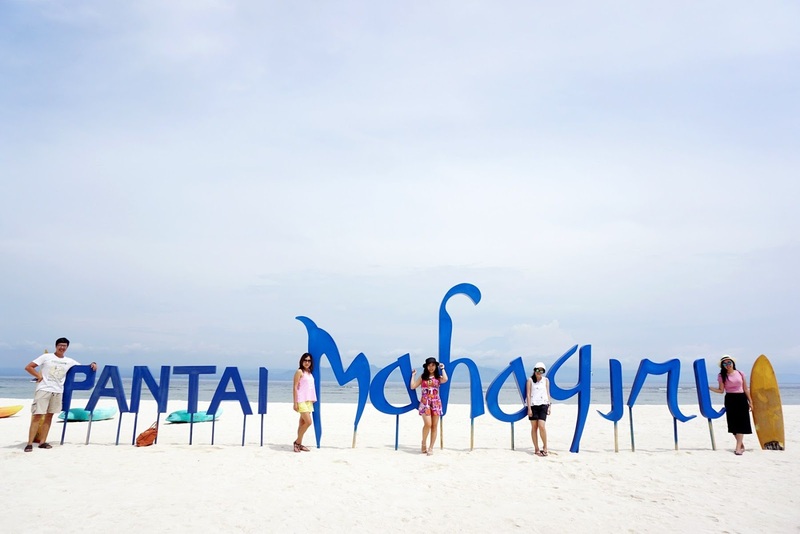 Here we are... Mahagiri Beach! Remembered we should embark at 1 p.m. and don't want to be left behind, we rushed into the last place on this schedule. Last but not least. 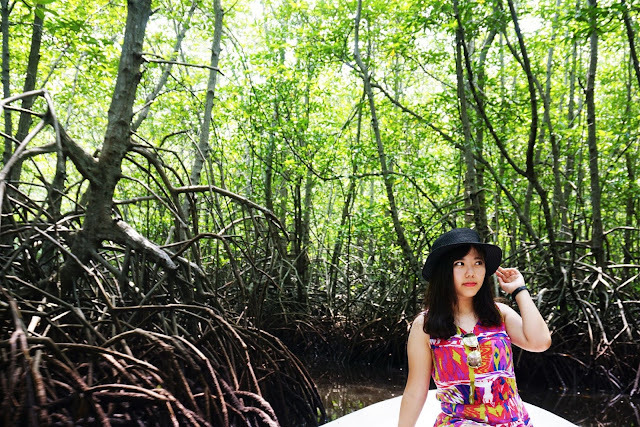 I really love this place, Mangrove Forest! 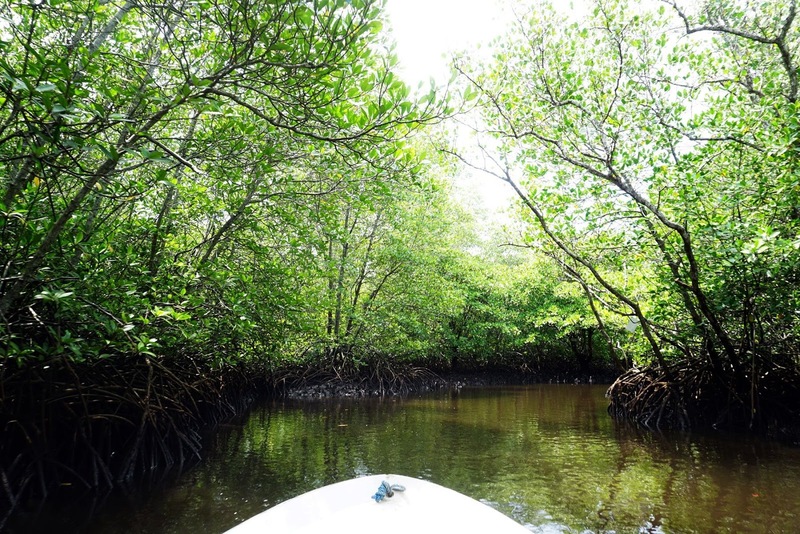 Besides of its beauty, Mangrove forest has given the unique experiences while we explored the forest by the sampan through the river. I wonder if there's a crocodile or lizard in the river. Lol. I don't know... Fortunately, I came back safely and can write this article now. Lol. When I entered this area, I just kept silence. While was wondering if there's a crocodile or not, I felt like I was in Indiana Jones Movie. Lol. And... It liked I was searching some treasures in the deep forest. The journey took us a round trip for 15 minutes. I could feel natural experiences just sat on the sampan. The sampan was moved by the old man with his wood pedal. "One... Two... One... Two... " "Right... Right... Right... and Left... Left... Left... " No machine, blogs! So natural! Totally love this! "Excuse me old man, have you ever heard or saw a crocodile here? ", I asked. "Never saw before, maybe because of your presence the crocodile would show up." The old man teased me. *shock* Tried to not make a big move but in the next 2 minutes I couldn't resist taking the photos. The soul of the photographer. Lol. Who could resist if the result of the photo was like this? Who? Say who? I really love this photo! That's my friend Vindry, I didn't know since when she becomes photogenic like this. Lol. This photo was taken and edited by me. Is it good? Anyone? Anyone interested? Contact me! Lol. Okay... That's it, blogs! 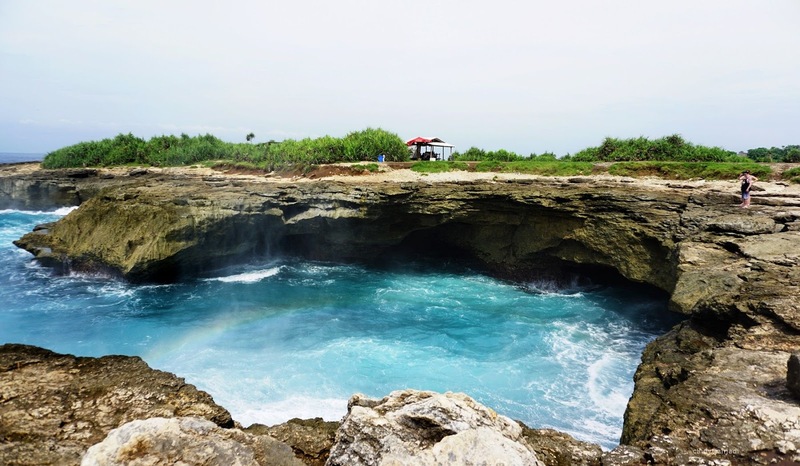 The latest place that we visited at Nusa Lembongan Island. Full experienced and got the excitement just in 5 hours. Quick but Great! 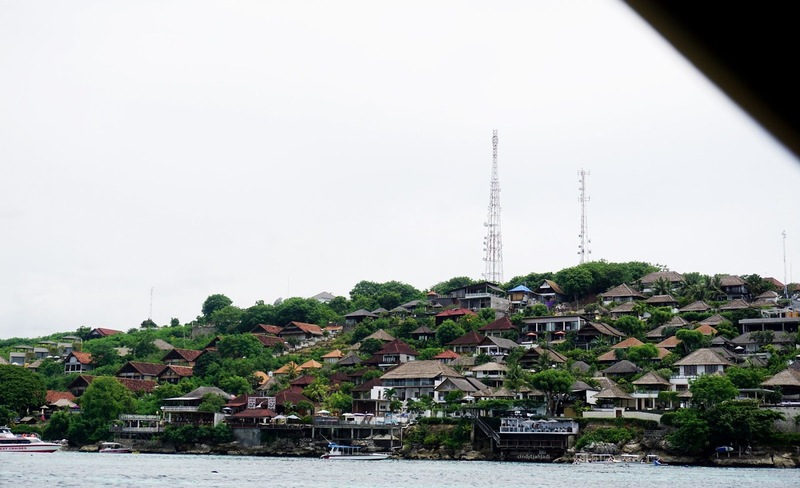 Didn't want to be left behind by the boat, we rushed to the Nusa Lembongan Pier to get back to Sanur Harbor. It meant we must end our local tour too here! For your information (not the endorsement), in this trip, I used Budi Nusa Penida Tour as our tour travel guide. My friends and I were so satisfied with the services, especially the tour guides, Bli Agung and the other Bli. They are so kind and patient with us who took many pictures for such a long time even if we were on the rush. Lol. Stick to the schedule but still on relax mode. Thank you, Bli! How about the price? The tour price depends on how many persons of you that will join. More persons are cheaper. Remembered we just the three of us, the price is quite pricey but still worthy! It such wonderful experiences and full of the adventure! Keep clean and beautiful. Of course, I'll come back in another chance. 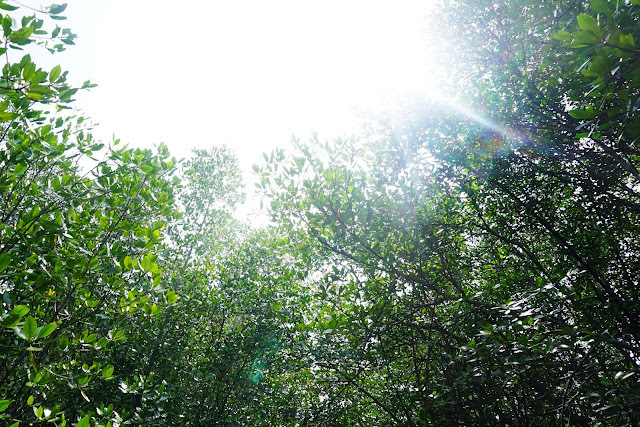 See you in the next post, blogs! Thank you for reading too!